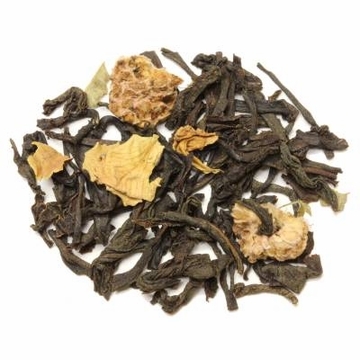 This tea is made from top grade orange pekoe Ceylon with natural raspberry flavoring. The Ceylon tea is grown at the altitude of 7000 feet above sea level from the Sri Lanka region. When brewed this tea produces a bright coppery color liquid with fresh raspberry flavor and with touches of mild astringency. A fantastic fruit tea. The tea is of really good quality, strong and full of raspberry flavor. Very nice product for the price. My wife just loves this Tea. I too find it a tasty change from the green teas I like. This is my favorite tea so far. It's a very good black tea. The raspberry flavor does come through very well. 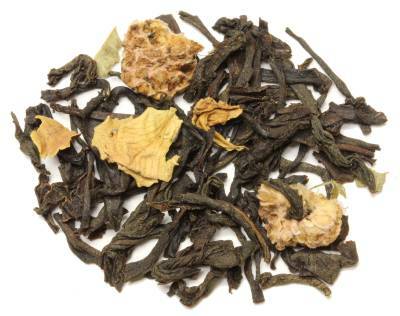 I have been using this tea for a very long time and my guest love this tea when it is served. Not my favorite, but others would probably like it. Just my personal preference, not because of poor quality. I found this tea very good, I enjoy it very much. Much better than the high priced one at the Mall.. This tea is fabulous! Has no "artificial" flavoring and is half the cost of Teavana. It's packaged very well. If you drink tea as much as I do, you will be very pleased with the flavor and value. This one and strawberry are my favorites. This is a wonderful Black Raspberry tea...perfect to have iced on these warm summer days! I cold brew this tea, and it is deliciously refreshing on a hot Texas day. The raspberry flavor really comes through, and is sweet enough to stand on it's own without sugar. Thanks, Enjoying Tea, for another winner! Very good tea. Tastes like it smells. Delicious. Wonderful sweet notes of raspberry mix with the dark tea flavor. This is a favorite. So so good, my wife's favorite so far. I have not had it over ice but I bet it's very good. I drink it with a bit of raw sugar and a splash of milk. Use heavy cream and a bit of raw sugar for a tea treat. We will always have this in our tea drawer. ONE OF MY FAVORITES AND I HAVE TRIED THEM ALL. Love it. Has a distinct raspberry flavor, tastes wonderful with lemon and some honey. Quite strong. I received a tea set for Christmas, and this was a sample that came with it. I love this tea, because it doesn't have a very strong, overpowering taste. The black tea has a very good flavor that is enhanced by the raspberry. A great tea to have whenever, and wherever. I got this tea as a free sample, and was pleasantly surprised! Not a tea I would usually be interested in, but now I am totally hooked! This tea is great iced as well.